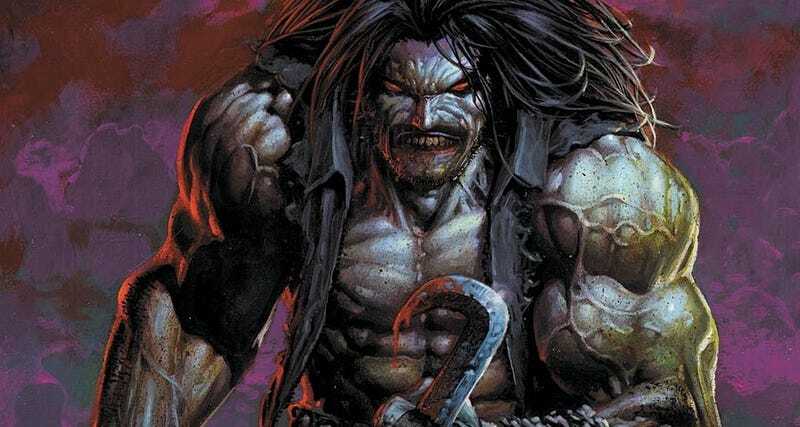 For as long as Lobo has been one of the most visceral, popular, and controversial comic book characters in DC’s library, there’s been talk of a movie. Nothing’s ever come of it—but there’s a hopeful sign. The writer of the new Wonder Woman movie has been hired to write a new screenplay. The Wrap reports that Jason Fuchs, who not only wrote the new Wonder Woman movie but also last year’s Pan, is rewriting Lobo from the ground up. That suggests other people who have previously been attached to the project may no longer be involved. The intergalactic bounty hunter has long been a character Hollywood has wanted to adapt, but been afraid to. In that way, he’s similar to Deadpool, since both characters thrive on their R-rated aspects. The difference between the two, though, is that Deadpool is infinitely more popular. Still, it’s hard not to look at this sudden move as a reaction to the success of Deadpool. Plus there’s no doubt that, handled the right way, Lobo could be a hit. At this time, there’s no word if Lobo will be written as part of the DC Cinematic Universe that includes Man of Steel, Batman v Superman, Wonder Woman, and Suicide Squad. Hiring Fuchs makes it seem more likely, though, since he’s already written one of those movies. And if that ends up being the case, the idea of Lobo taking on Batman or Superman on the big screen brings a pretty big smile to our faces.